One of my favourite things about visiting Italy is the Gelato. Gelato is Italy’s version of ice cream. When at home in Australia I do not eat ice cream at all however when I am in Italy I manage to have a Gelato a day. Mind you I could easily eat more than one a day. I wonder why I enjoy it so much in Italy and yet have no desire for ice cream at home. I believe it is because I was brought up on home-made ice cream which my mother made weekly which was very similar to the Gelato recipe. Gelato can be made with milk, cream, sugars and flavourings such as fresh fruit and nut purees. It is generally lower in calories, fat and sugar than ice cream. Gelato is a type of soft ice cream containing a relatively small amount of air. By statute, gelato in Italy must have at least 3.5% butterfat, with no upper limit established. Gelato is churned differently than ice cream and contains less air. Despite its lower fat content, gelato has a creamy consistency, is thick, dense and elastic. But what truly distinguishes gelato is its taste. Gelato shops in Italy are called – Gelateria (singular). Gelaterie (plural) are as abundant as pubs back here in Australia. One can find one on almost every street corner, well, not quite but they can be found in almost every village and city in Italy. They are often the busiest part of town with the shop packed with people looking over the tubs full of Gelato on display and making their choice. If you are undecided as to which flavour to choose, don’t worry cause you can get 2 or 3 scoops of different flavours on each cone or cup. You’ll be able to identify many of the flavors by the pictures some shops include on the flavour cards, but others may be a complete mystery. 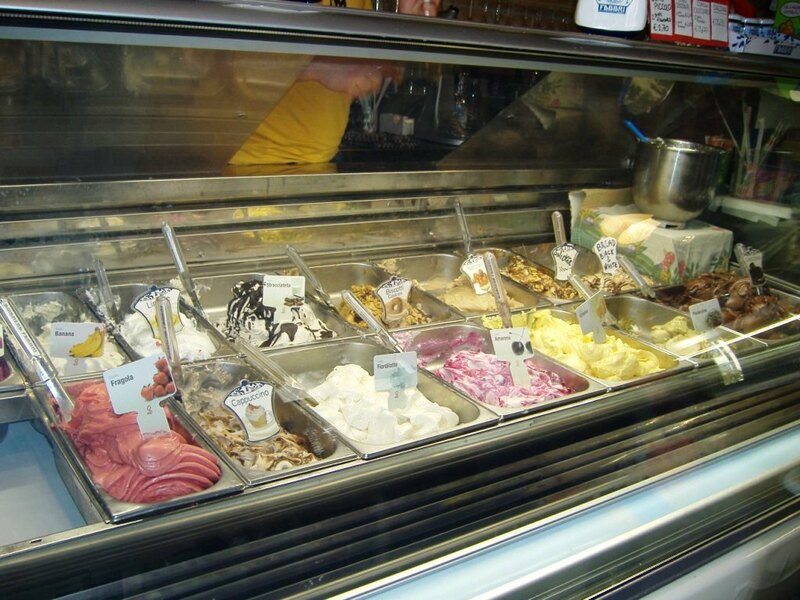 Every Gelateria that I have been to, and believe me, that is many, offer for you to taste a sample of the gelato. So, if you are undecided, ask for a sample. They are always very willing to let you try. Outside the gelateria is usually packed with people who congregate to enjoy their Gelato and for the locals it is a popular meeting place. The daily passegiatta most often will have the locals strolling around their village enjoying a gelato. I have been to many local football matches in Italy and usually after the game we all head back to the local bar. We Aussies have a drink, for me, a glass of wine; however the players usually have a gelato. 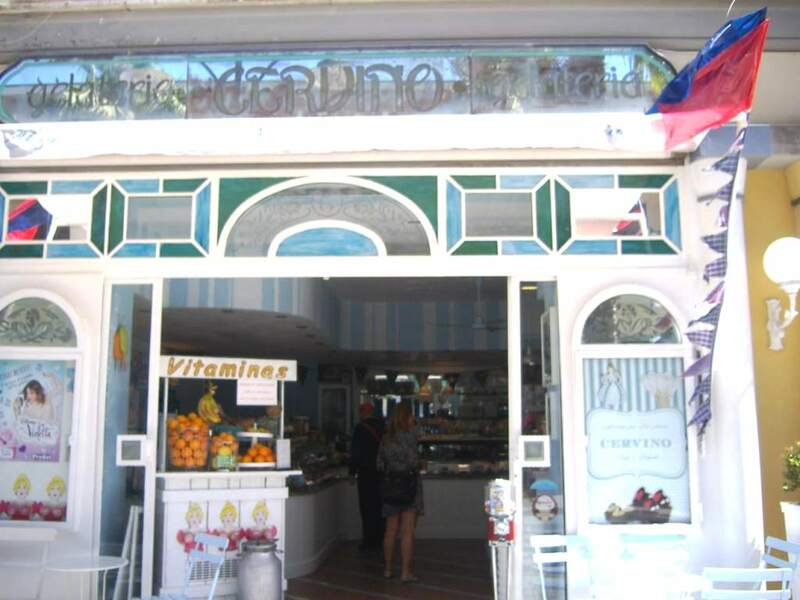 When we were in Porto Venere, each afternoon we would watch the local teenage boys playing football on the beach and after the game, where did they head to, yes, the Gelataria. We also observed the same custom in Stresa where the local football team all met for Gelati after the game. Just so refreshing to see and of course so refreshing to enjoy. 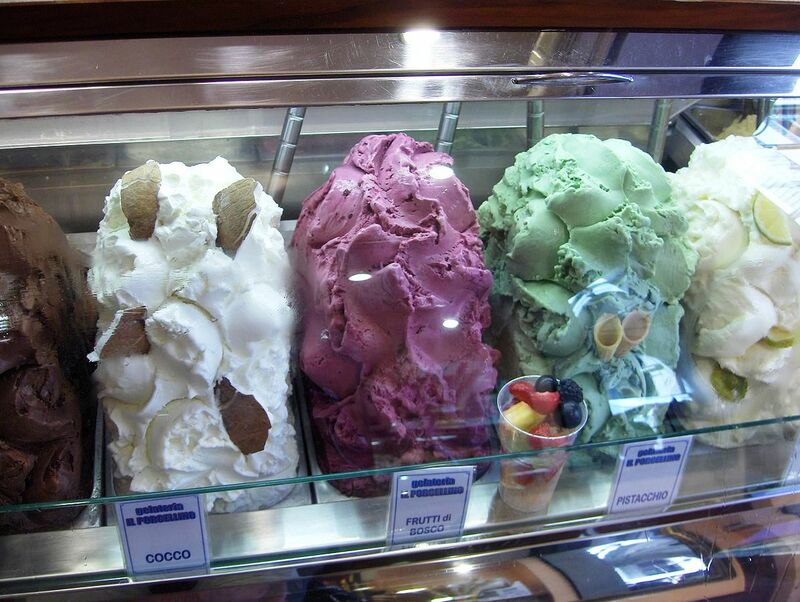 Here are just a few of the flavours you will find at most Gelaterie in Italy. Crema: Italian crema is a pale yellow colour and more like custard than cream. Nocciola: Hazlenut – my favourite! Nocciola, is a classic gelato flavour in Italy, one you will find in any gelateria. Whatever else you’re doing, treating yourself to an ice cream is an important part of your visit to Italy. Lovely gelato … always a treat! I love having a gelato from each town we visit and try a new flavour everytime. You can have one for breakfast and nobody blinks and eye or thinks your strange. My favourite is in San Gimignano. How interesting that the players have gelato after a game as compared to having beer in the states! My favirite is also nocciola. Can’t have enough gelato! Ah gelato….always brings a smile to my face. I found it interesting that the football team heads over for gelato. Makes perfect sense! Yes, the gourmet of icecream is gelato . Perhaps a visit to New Farm is imminent. 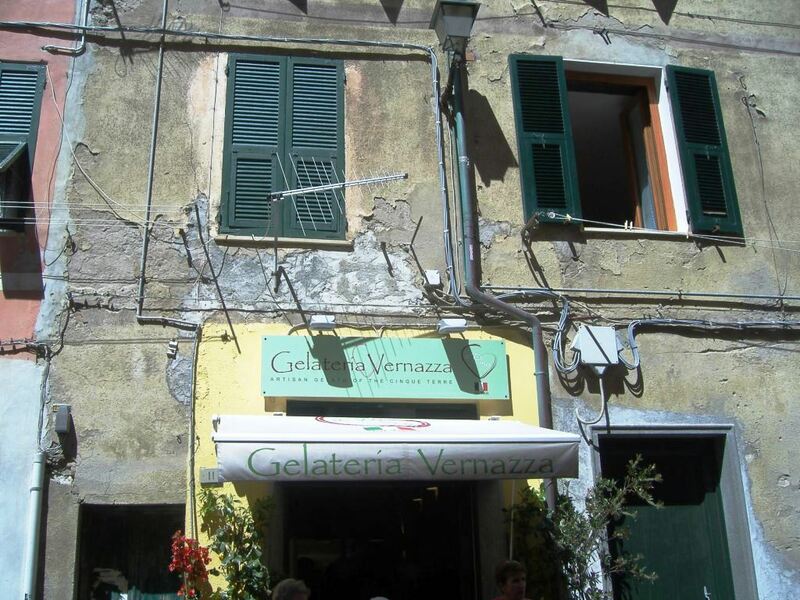 I haven’t been to Italy, but the best gelato I ever had was pavlova gelato from a little shop somewhere in Cairns. I’d imagine that’s an Aussie flavor, though perhaps not a common one as I’ve never seen it anywhere else. Maybe you’ll come across it somewhere or maybe it was something that particular shop made themselves. Mango gelato on the MSC Divina comes in second of the flavors I’ve tried and while it isn’t Italy it is an Italian ship. Sounds like the pavlova one must have been something just the one shop made. Too bad because it was excellent. Gelato is the reason I don’t like ice cream at home anymore! I always choose pistachio. I really like that last but one picture!